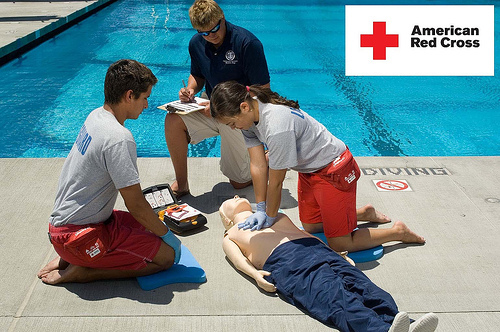 Obtain your 2-year certification by taking a lifeguarding course from the American Red Cross. Courses take approximately 32 hours to complete and include web-based learning, classroom instruction and in-water skills development. The web-based learning format allows students to re-watch videos and review course material as often as needed. This provides a better opportunity for success. 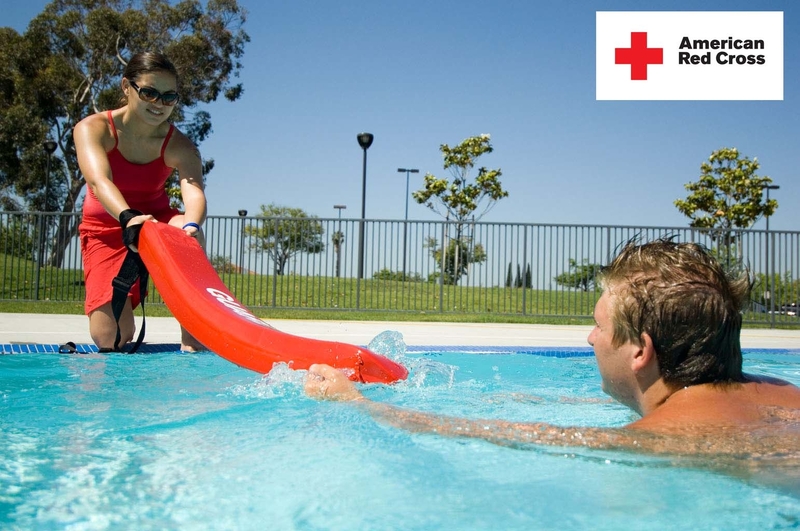 Most Lifeguarding courses only offer the basic Red Cross Lifeguarding certification. Included in the cost of our course is certification in Red Cross Lifeguarding, Waterfront Lifeguarding, Waterpark Lifeguarding and Administering Emergency Oxygen. Taken separately, these 4 certifications would cost $800.00. We maintain a smaller instructor to student ratio to provide more personalized instruction to the students. 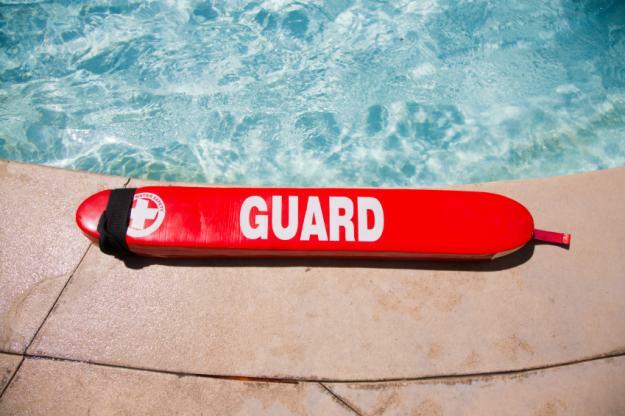 Our syllabus includes additional time for in-water skills practice, resulting in better trained lifeguards. Our instruction is conducted at an indoor aquatic facility which provides a comfortable learning environment. Our facility exceeds the training standards required by the American Red Cross. Cost: $80.00 - You must recertify no later than 30 days after your current certification expires. Advance registration required by email or phone. Class 1 - Runs from February 19 to March 9 at the Wes Deist Aquatic Center in Idaho Falls. Class meets Tuesday and Thursday from 6:00pm to 9:15pm and Saturday from 3:00pm to 8:00pm. On Saturday, March 9, class will meet from 8:00am to 1:00pm. Class 2 - Runs from April 16 to May 4 at the Wes Deist Aquatic Center in Idaho Falls. Class meets Tuesday and Thursday from 6:00pm to 9:15pm and Saturday from 3:00pm to 8:00pm. Class 3 - Runs from June 10 to June 13 at Heise Hot Springs in Ririe. Class meets Monday through Thursday from 8:00am to 5:00pm. Registration forms can be downloaded under the "Register for Class" tab or they can be picked up at the WDAC in Idaho Falls. Class 1 - Saturday, March 2, from 1:00pm to 8:30pm, at the Wes Deist Aquatic Center, Idaho Falls. Class 2 - Saturday, May 11, from 11:00am to 7:00pm, starting at Owens Health and Safety and finishing at the Wes Deist Aquatic Center, Idaho Falls. 1. Learn to save lives in and out of the water. 2. Develop your leadership, communication and teaching skills. 5. Stay in great physical condition. 2. Swim 300 yards continuously demonstrating breath control and rhythmic breathing. Candidates may swim using the front crawl, breaststroke or a combination of both but swimming on the back or side is not allowed. Swim goggles may be used. Waterfront Lifeguarding certification requires a 550 yard continuous swim. 4. Complete a timed event within 1 minute, 40 seconds. a. Starting in the water, swim 20 yards. The face may be in or out of the water. Swim goggles are not allowed. b. Surface dive, feet-first or head-first, to a depth of 7 to 10 feet to retrieve a 10-pound object. c. Return to the surface and swim 20 yards on the back to return to the starting point with both hands holding the object and keeping the face at or near the surface so they are able to get a breath. Candidates should not swim the distance under water. Exit the water without using a ladder or steps.